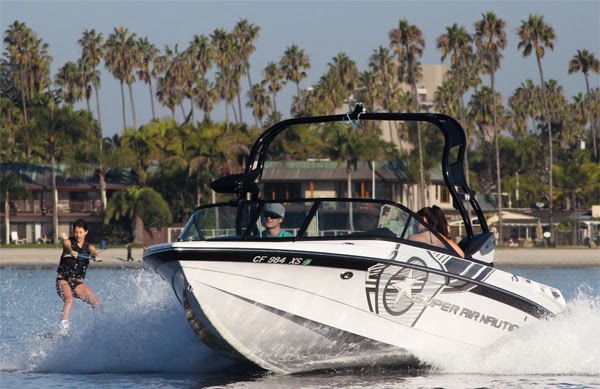 There is no better time to get on the water in San Diego than the spring. There is no better time to take advantage of that opportunity than in our spring college credit classes. AND there is no better time to register for your class at MBAC than now where you will receive 10% off any and all college credit classes if you sign up before the last day of the Fall 2013 semester (December 8th). Even if you don’t know your school schedule yet it's not a problem! Just choose a day and time for your class now and if it doesn’t fit with your schedule, we will gladly transfer you to a class that does and will still honor the discount. Save 10% on Spring 2014 College Credit Classes when you sign up before the end of the semester! If you’re currently in a semester-long college credit class then you don’t need us to tell you that it is the best value we offer at MBAC. There is nothing else out there like escaping the grind of your weekly schedule for some quality time on the water learning new watersports skills or refining the ones you already have. You will be able to brag to your friends about how awesome you are at sailing, windsurfing, wakeboarding, surfing, kayaking, stand up paddling, or rowing. AND if you are taking the class for credit you will also be able to tell them how you got a grade for all that awesomeness! Sign up before the semester ends you and will also be able to tell them how they can save 10% too! Make sure that your spring semester schedule has at least one sunny day of fun on the water by signing up today.